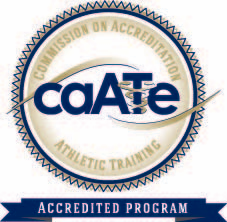 The Saint Louis University Athletic Training Program, in conjunction with Fr. Robert Murphy SJ from SLU Campus Ministry, developed a video highlighting the influence of SLU's Jesuit context on the program. The video features interviews with alum Dustin Jamboretz MAT, ATC (MAT Class of 2016), and current students Madeleine Hauck (MAT Class of 2017) and Mike Milek (MAT Class of 2018). All three of these students also attended Jesuit High Schools.